Radical Financial Transparency-Good or Bad? Last spring, Joel Gascoigne realized he’d made a big mistake. He’s the CEO of Buffer, a social media management company, and business was doing so well that he aggressively staffed up — going from 34 to 94 employees in just more than a year. But although Buffer was still bringing in $875,000 a month, the increased salary burden was eating up all that money and more. “We didn’t get the productivity impact or growth we thought we might get from hiring that many people,” says Gascoigne. Buffer was likely to be broke in five months. So in June 2016, he laid off 10 recent hires. Then the 29-year-old CEO faced an even more daunting challenge: He’d have to explain all this — how he failed, how the company’s finances suffered and how he’d fix it — to his customers, employees and investors. That’s because Gascoigne had previously committed to running a “totally transparent” company, which meant revealing everything at all times. He couldn’t back down now. Business transparency usually falls into two categories: At a publicly traded company, finances are revealed quarterly and the CEO answers a barrage of questions from analysts and shareholders. At a private company, the CEO is accountable to a select few people and can otherwise often hoard information. But transparent companies, sometimes called the “open-books movement,” create a third, somewhat radical way: The leader of any company commits to putting its intimate financial details right out in the open, so nothing about its health is hidden. 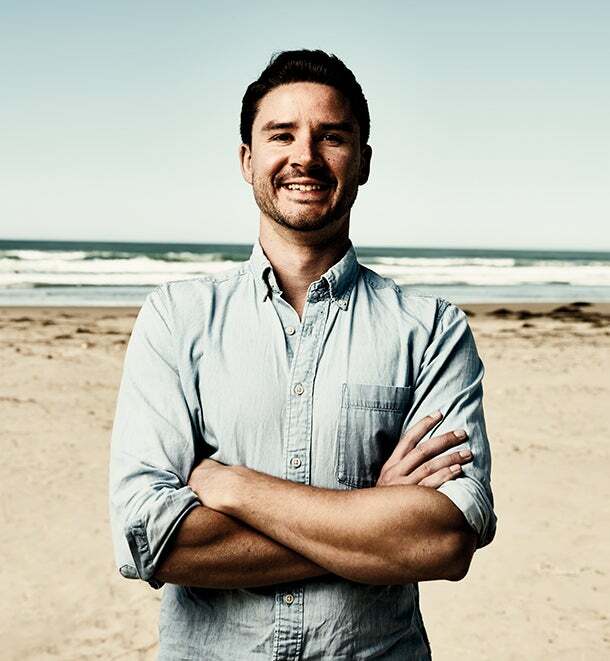 Radical transparency hurt, then helped Buffer CEO Joel Gascoigne. So how much does a company have to share? That’s up to its leader. “You have to ask yourself what it is you think you have to hide,” says Rogers. The TransparentStartups.com site lists 42 companies that take the most extreme form of openness, posting their vitals online for literally anybody to see. But thousands of other open-book companies keep their data slightly more closely held. “I still like my privacy. It can be dicey to put all that information online,” says Andy Drish, cofounder of The Foundation, an entrepreneurial education program. So at an off-site last year, he went as far as he felt comfortable: He gave access to his nine-person team. Entrepreneurs who’ve gone transparent say they’ve seen many benefits: It made them more attentive to their company’s needs, gave employees a renewed sense of purpose and made their clients trust them more. But, of course, open books also carry plenty of risk. A bad month could spook investors. A good month might alert competitors to what a company is doing right, effectively giving up any competitive advantage. Storytelling, of course, is a good skill for any leader to have. But this kind of storytelling can be draining. That’s what Tim Sae Koo learned when he made his marketing software company Tint transparent. He posted Tint’s revenue and cash flow numbers on the internet in 2014, and clients quickly called him with nervous questions. “How are you funded?” one suddenly wanted to know. “Are you worried you’re not growing fast enough?” asked another. At the time, Tint was pulling in about $200,000 a month — a healthy amount, to be sure, but Tint was courting clients that were operating on a bigger scale. “They didn’t want to work with a company that might shut down in a few months,” says Koo. “But if those people had more context, they’d realize our business fundamentals were really strong. We didn’t take external funding like our competitors, so our growth was organic.” He tried explaining all that, but it took far too much time and energy. His team got distracted from its product, and sales slowed. So two months after going open-book, Tint closed the books right back up. Koo says he may try again. If he does, he’ll want to have a communication plan in place. Many transparent companies keep blogs — a place where clients and others know they can go to get updates and explanations for the company’s financials. That way, nervous observers aren’t calling a CEO all day. Matt Bearman, founder of BugMuncher, always reveals new data on his company’s blog, along with his own explanations. That was particularly important last July, when BugMuncher’s monthly number of new paying customers fell by more than 80 percent. But Bearman wrote a post explaining why the dip was a blip: The energy usually put toward sales had been briefly diverted to building a new app. His message was clear. BugMuncher, which helps websites diagnose usability problems, had a plan and was in control. But as entrepreneurs like these spill their guts to the world, they often wonder, Who’s actually reading this? Despite how juicy a company’s vitals can seem, the audience may be low. Clients are busy. Employees may want to know only when things are especially good or bad. People on the internet surely have better things to do than monitor a random company’s financials. Dave Nevogt, cofounder of Hubstaff, a transparent software startup, estimates that only 15 or 20 percent of his customers pay attention to the numbers he posts. But that doesn’t matter, transparency advocates say: The very fact that a company is revealing so much information — that it’s there if a client wants it — breeds overall trust. “When you’re willing to disclose everything,” says Rogers, the management consultant, “it makes people feel confident in a way that they might not even check.” Which might be just fine for everyone involved.